Martha Rich is a Philadelphia-based artist and teacher working in both the commercial and fine art fields. She graduated from Art Center College of Design with Honors and recently received an MFA in painting from the University of Pennsylvania. 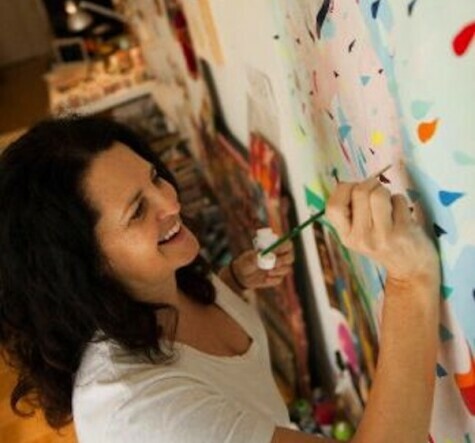 Her commercial work has been used in music videos, advertising, magazines, book covers and more and her paintings have been shown in galleries across the country and internationally. In Philadelphia, Rich has taught at Tyler School of Art, Drexel University and University of the Arts as well as at the Fashion Institute of Technology in New York. Prior to relocating to the East coast Rich taught at Art Center College of Design within the Illustration and Design Matters programs. She has recently returned to Art Center to team-teach the newly developed Smart Image, Social Impact class that partners the Illustration Department with DesignMatters and is designed as an introduction to the DesignMatters concentration for illustration students.